I’m wiped out this afternoon. I started a new antibiotic, and the escalation has begun on all fronts: pain and numbness in my legs; a flu-like, all-over sick feeling; ringing in my ears; and hit-by-a-bus fatigue. When antibiotics cause herxing and my symptoms ramp up, I turn to some tips that help soothe me so I can get through the day. Epsom salt baths. I toss 2-3 cups of Epsom salts into a hot bath and soak for at least twenty minutes. The difference can be quite dramatic for me. Note: I did learn the hard way that applying lotion or oil afterwards isn’t a good idea; my pores were open and easily irritated. Heat. Hot baths and warm clothes are good, and I have several microwavable heating pads that conform to my legs and provide much-needed relief. Heat lamps like those used by acupuncturists feel wonderful on high-pain herx days. Burbur. This extract made from the leaves of the plant Desmodium molliculum is reputed to promote detox, and many lyme patients, myself included, report that it reduces their herxing. Ask your lyme literate doctor about dosages and whether it is appropriate for you. 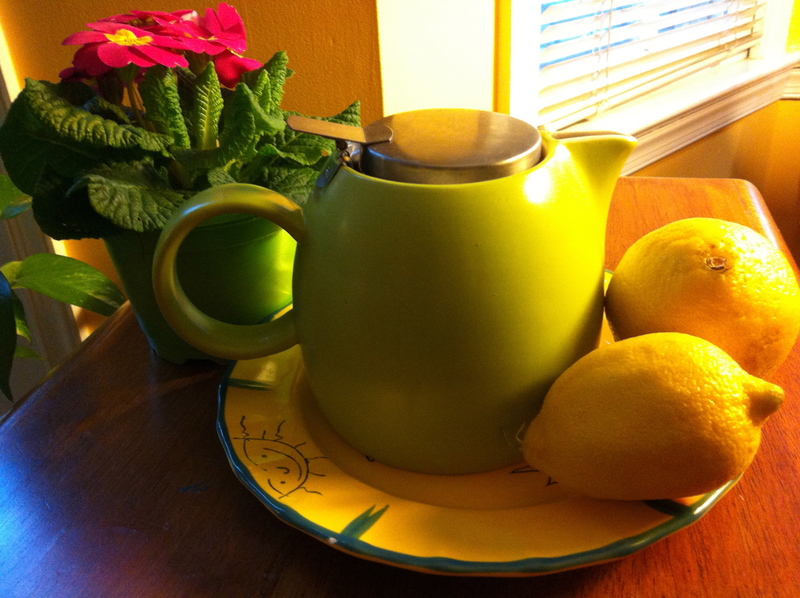 Tea with lemon. I’ve heard that lemon is a great detox, so I add it to tea or plain water, and while I’m at it I grate some delicious fresh ginger to reduce inflammation. Diet. Don’t let feeling awful be an excuse for eating poorly. On herx days, I double my efforts to avoid foods that cause inflammation like gluten and the nightshade vegetables (including tomato, potatoes, and alas my favorite, eggplant). Juicing gives me an added boost of nutrition. Be sure to let your physician know if your herx is severe. Some experts say herxing can be dangerous, and set back recovery—so backing off on meds or antimicrobial herbs could be important. See more on the Herxheimer reaction here. “The Scream” by artist Edvard Munch. Today, for instance, my chest is tight and burning, and there’s an uncomfortable sensation like ice water running through my veins. I feel ill all over, like you do when you have the flu or a high fever. There’s more: Joints in my left foot throb, along with both knees and hips. My legs and arms are on fire with a burning pain deep in the tissue, as is my digestive tract. Add in weak muscles and low energy, and you can see why I’m on the sofa. My mind might as well be underwater, my thinking is so muffled and remote. (As you may have guessed, it’s actually taking me several days to write this post). Chills crawl over my lower back and hips. On the worst days, I don’t feel up to reading or watching a movie or visiting with a friend by phone. All I want to do is lie here. I’m good with that. Here’s why.